Topic: What makes an Alpina an Alpina? The only probably still Alpina is the badge on the front/rear and the VIN plate. Precisely not. Genuine Alpinas keep their BMW badges on front/rear. Alpina badges on these places, are guaranteed 100 % fake. The Kleenex box is OEM, at least. Blue Alpina it must be ! Topic: BEST ROUTE TO BUCHLOE? Same for me. 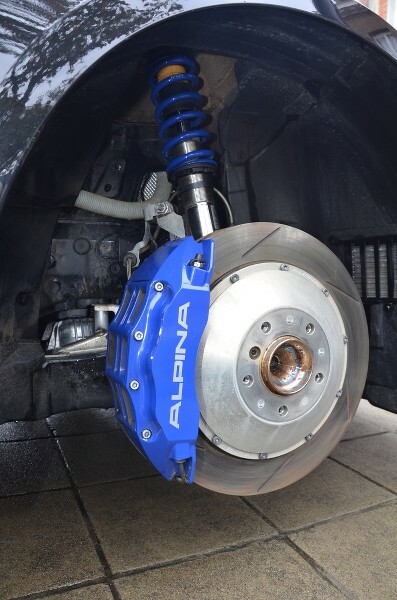 I had an invitation from Alpina Germany in December. I will drive from Brussels to Buchloe , depart on Friday, spend the night somewhere in between, and will return on Sunday. My big question is "which one shall I take ?"